Choosing a digital camera as an artist doesn’t have to be difficult. This article I believe will enlighten you so you can make an educated decision. 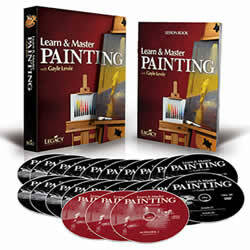 We artists can use any tool necessary to apply our craft. This includes new technology. Now there are purists that will disagree, and I understand. There are some things, like applying paint with a brush, will never change for me and for which I believe defines the craft. Heck, even Vermeer used a camera to check his work! One of my favorite tools is the point and shoot camera. For years, I used the 35mm film camera with an assortment of lenses, flash units, filters, the big case and tripod. Today, it’s just point your camera, and shoot! There you have a perfect reference photo of your next painting! 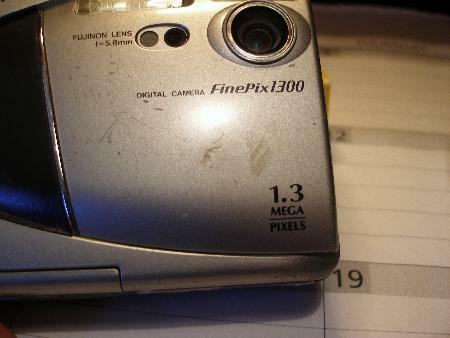 For me, choosing a digital camera, was difficult. I had a heavy learning curve to climb, and I'm happy for knowledgeable friends. I'm glad you're here to do the same. If you’re serious about exploiting the camera to it’s full potential, both in collecting reference photography for your ideas, and in promoting your work through advertisements, portfolios, brochures, and fine art prints, listen up, and I’ll try to pass on some of the things I’ve learned in how to choose a digital camera. I don’t consider myself a professional photographer, so I’ll use terminology that I hope you’ll understand. Google has a great many tools for you to use to get additional information if it’s not discussed here. 2. Viewfinder size. Most today are 2.5” to 3.0”. Get as large as you can afford. Why? The number doesn’t seem much different. But the overall screen size for a 2.5” to a 3” is significant when you consider this size is a diagonal measurement. Having this in the 3” range will help you compose a better picture, and will allow you to see if things are focused correctly. In my examples below, choosing a digital camera that has at least a 2.5" to 3" LCD viewfinder will well be worth the extra cost. 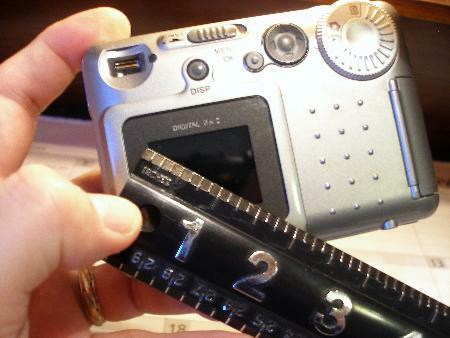 You can readily see the difference between the 1.5" and 2.5" viewfinder. A 3" viewfinder is even better. Why? 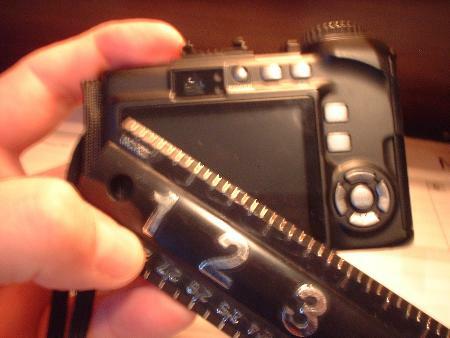 when you are checking the focus of a tight and up close shot, the larger the view finder, the easier that check will be. 3. Lens adaptability and Functions: these subjects are very important if you are shooting your artwork for brochures, prints, or portfolios. Click here to get a more detailed explanation. It opens a new page so you don’t lose your place here. 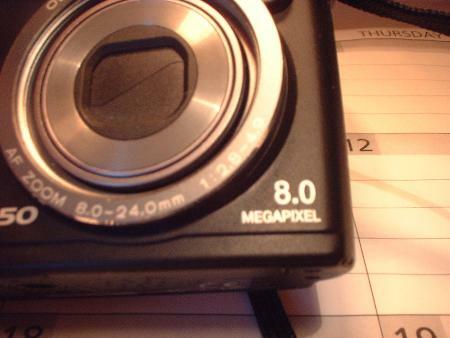 And please read that area before choosing a digital camera. You’ll be happy you did! Part 2 of Choosing a Digital Camera. 4. Zoom capability. Of coarse the higher the better. Especially optical zoom 8X or more (where the work is done by a lens rather than the software, as in digital zoom). I rarely use it in still life and floral painting, but if you are a landscape, cityscape, or take pictures of your kids soccer games, this is important to have. 5. Other things to think about. Memory is dirt cheap these days, but it used to be something you budgeted for. A 2 gig memory card, or stick for your camera today is usually less than $20. Low-light sensitivity is also pretty good on most camera’s today, but check anyway to make sure you can shoot in low light. Response time. This is time between when you push the shoot button, and the picture is taken. This can be a real issue with digital camera’s as the delay can be over a half second long. In SLR camera’s and Digital SLR camera’s, when you push the button, the shot is taken. In digital camera’s, this delay can cause your son’s soccer shot on goal to be a picture of the ball in the back of the net. Or your daughters’ volleyball spike a picture of the ball coming off the opponents head rather than in the air. (Which, when you think about it, wouldn’t be a bad picture either). Anyway, take your time, ask around, research, and fully understand what you will be using you camera for. This will help you in choosing a digital camera. Hopefully I’ve helped clarify what you need to shoot reference photos on your own, and have the ability to a never ending supply of painting ideas.